Ooh a brand I use too! Fingerpaints! I love Winter Wishes! I just love its bumpiness and color. I wear it without a topcoat. 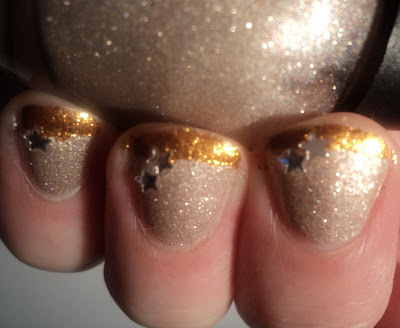 What a great manicure idea to use Glitz & Glamour as an accent color. Thanks! my fav color!!! very pretty! very cute design.. I love the stars. Please follow my nail blog ! !